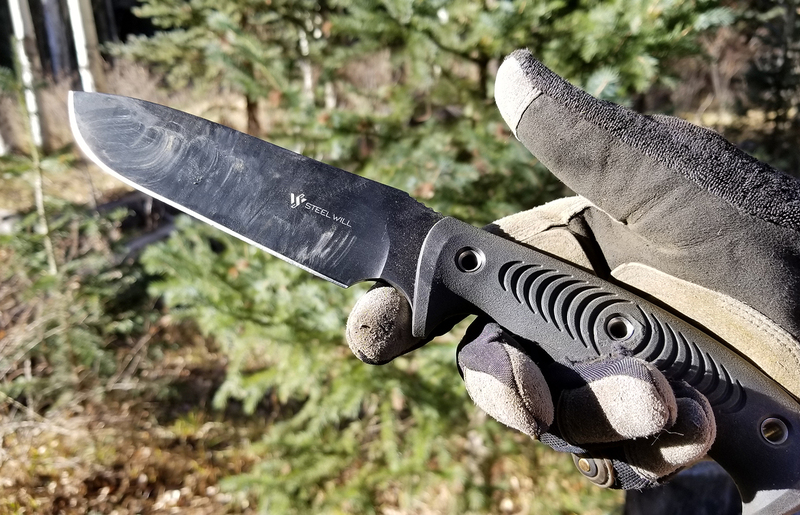 Big, strong, and ready for hard use, Steel Will’s Roamer R300 fixed blade is as easy on the wallet as it is useful in the field. Introduced in the later half of 2017, Steel Will’s Roamer series marks the company’s entry into the world of budget-friendly blades. 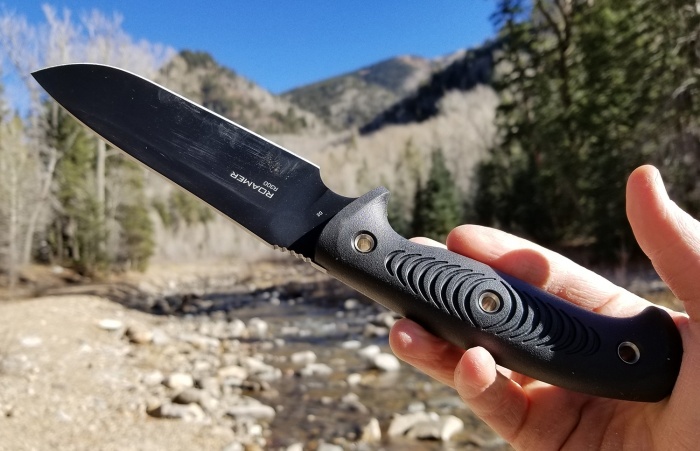 The largest of these is the R300 ($60 retail), outfitted with a thick blade, strong steel, and rugged intentions. It’s a knife that stares you full in the face and asks, “So, you want to take this outside?” Why, yes. Yes I do. I’ll admit it, I’m a little bit of a Steel Will fanboy. The brand caught me with the Cutjack, delivered with the Druid, and now they’re romancing me with the Roamer. I should make it clear that the company supplied this knife for review. This won’t keep me from speaking my mind, however. As with any piece of gear, the R300 has its strengths and weaknesses. Let’s dive into them now. While I can’t speak to these particular uses, I can confirm that it cracks eggs for campfire brunch. Be careful, though. It’s a hefty knife, so you could wind up smashing the eggs with more than the lightest tap. Back to the blade, users will find themselves treated to a prominent forward finger choil. This allowed me to cut and carve with a surprising amount of precision given the knife’s overall heft and size. Combine this with the thumb jimping and the comfort of its handle, and you’ve got a recipe for ergonomic excellence. Even outfitted with work gloves, the Roamer R300 fits my medium/large hands like, well, another glove. Let’s talk about the sheath. Pairing rigid nylon and a mountable belt loop, it provides a surprisingly smooth carrying experience. The dual rear snaps allow plenty of flex, and the blade retention is excellent. There’s a thumb ramp for single-handed draw and a drainage hole near the tip. This would be a good sheath on a $100 knife, let alone a $56 one. 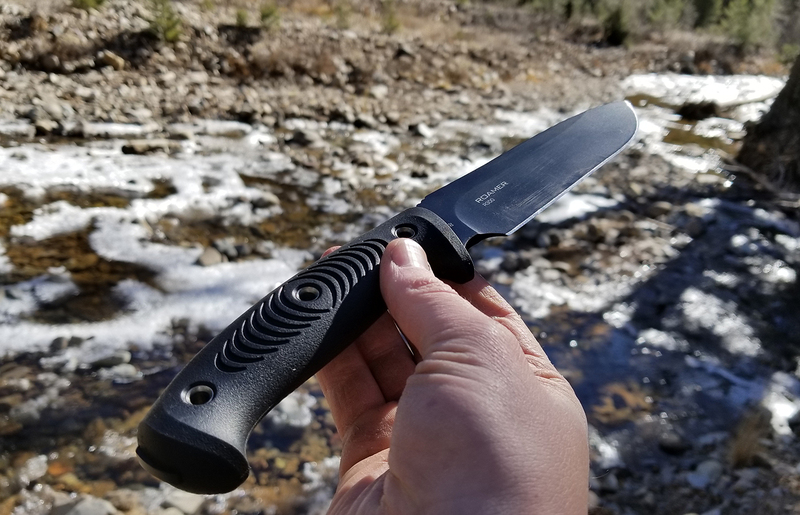 Steel Will advertises the R300 as “a large camp knife perfectly suitable for tough tasks… Perfect for building a shelter or working with wood.” You’ll notice it left out the words “food” and “prep.” That’s because, for all its outdoor prowess, the Roamer isn’t much help when mealtime rolls around. While its thick blade stock is great for survival tasks, it’s a little broad-shouldered for the kitchen. My attempts to slice apples and onions quickly turned messy. It’ll get the job done, but it’s more of a bludgeoner than a slicer. While we’re on the topic of forcing things, let’s revisit the sheath. Though I’m a big fan of its ride and retention, I’m a little concerned with the belt attachment. 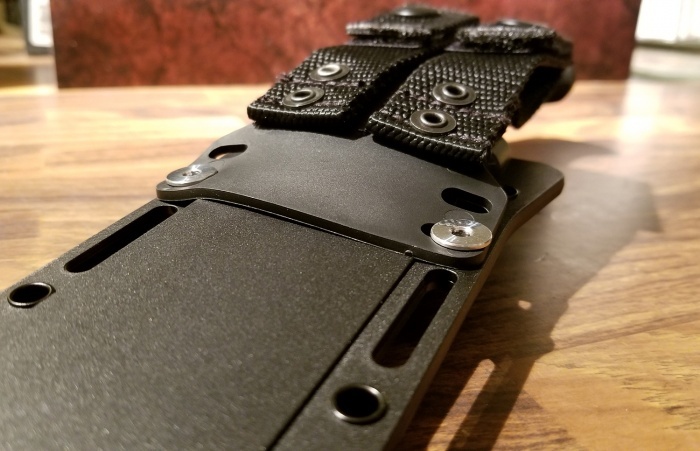 As the photo below shows, the only way to get the screws to slot into place involves bending a rather solid piece of plastic around the main body of the sheath. I spent 20 minutes searching for another method before coming across a picture in Steel Will’s catalog. Apparently, this is how it’s meant to go together. If I used emojis, this is where I’d insert a shrug. My last complaint is more of a personal gripe. 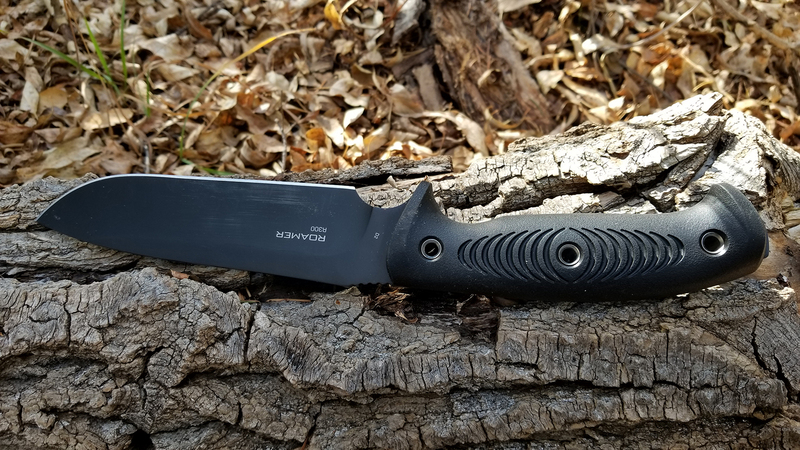 While the blade spine is sharp enough to scrape the bark from small limbs, it’s just rounded enough to be useless against a ferro rod. You can get a few sparks if you really bear down, but not enough to make it worth your while. This could also be due to the blade’s coating. For all its edge retention, exposed D2 will rust more readily than many other stainless steels. While the R300 will provide all the firewood you need, you’ll want to look elsewhere when it comes time for ignition. So, where does the Roamer find its home? 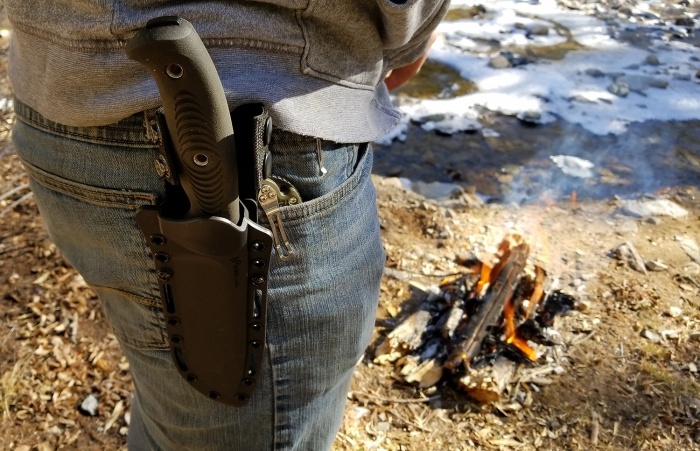 In the woods, in your yard, or anywhere the going gets rough—pretty much exactly as Steel Will intended. 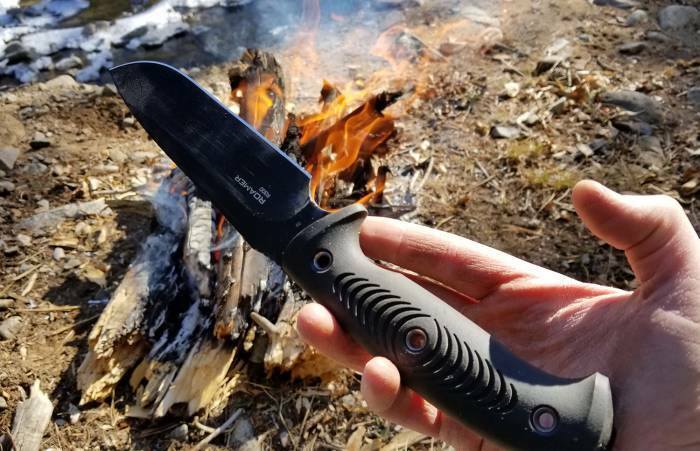 Its solid steel and rugged construction make it an excellent beater blade, perfect for processing firewood and de-limbing trees. It’ll baton, split, and chop with surprising alacrity. My tester held up well under significant abuse, avoiding any signs of chipping. A quick strop was all it took to bring the edge back to factory sharp. So long as you don’t expect it to slice veggies or strike fires, this is one of the best sub-$60 survival knives I’ve come across. 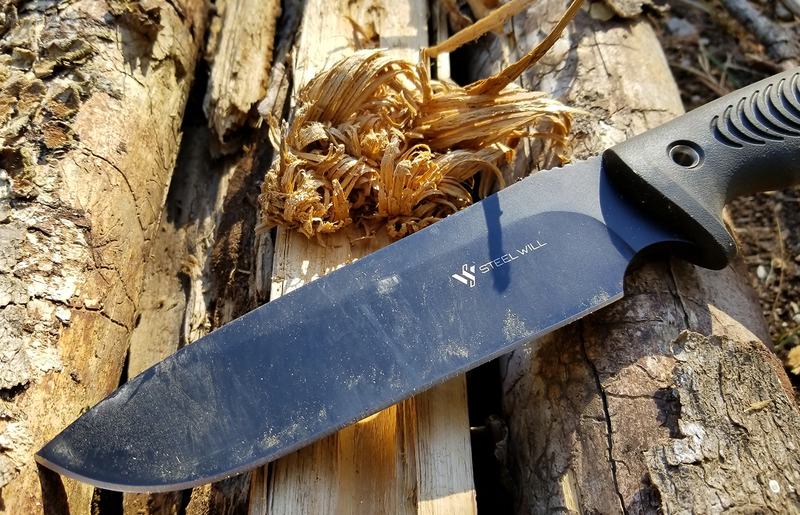 Check it out on KnifeCenter ($56) or Steel Will’s official website ($50).